Effortlessly build beautiful websites for your hospitality-focused clients. Save time by leveraging our easy-to-use, hospitality-specific design tools. Deliver a backend that your client can manage with just a few clicks. Spend less on development & get back to what you love. Experts earn a steady revenue stream of 15% for every restaurant you bring online. 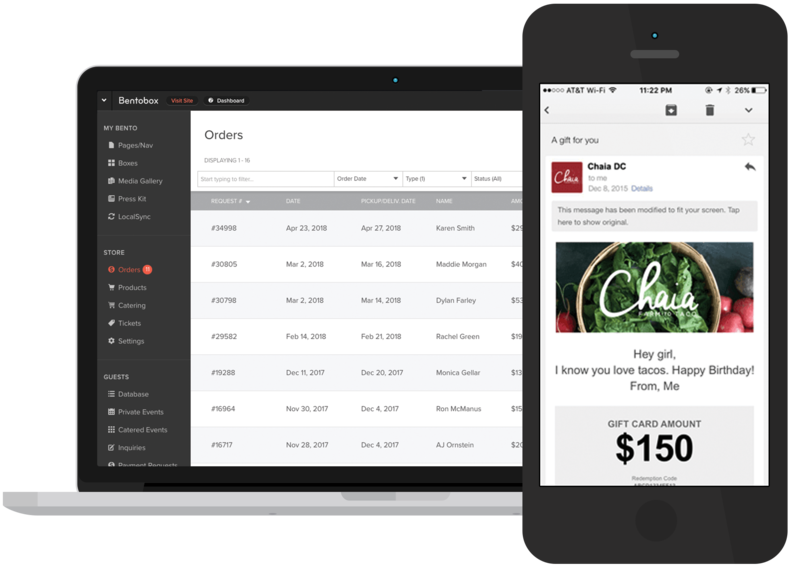 All BentoBox websites come fully equipped with features and integrations specific to the restaurant industry. With a few clicks - add a store, private event space or a catering FAQ page. Once your application has been approved, we’ll give you access to the Expert Dashboard. From there you’ll be able to create a staging domain and begin building. Payouts are based on the frequency of your client’s BentoBox subscription. Payment is issued on a recurring basis as long as the website is active on BentoBox. There’s no cost to you as a Bento Expert - in fact, you'll make money. No subscription is necessary until launch. Web designers, marketing consultants, and/or developers who have established relationships with restaurants. At this time, we’re exclusively accepting applicants who have previous website-building experience and an active project that is ready to go. Ready to become a Bento Expert?